SKU: IR-4000. Category: IR Repeater Systems. 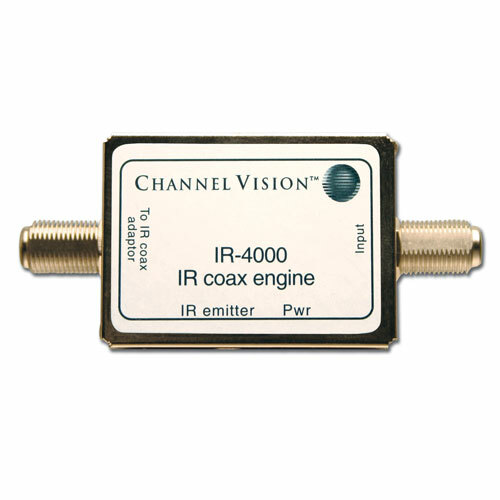 Channel Vision’s IR-4000 & IR-4101 transforms your existing coax wiring into a whole-house IR Repeater system over Coax. These products allow any standard IR receiver to be connected to the coax cable in one room and an IR emitter to be connected to the coax in another room. The resulting IR Repeater system gives you the ability to control devices that are located in a different room. Maximum distance to IR Repeater emitters is 500ft.